It’s an understatement to say that a lot characters die in George R.R. 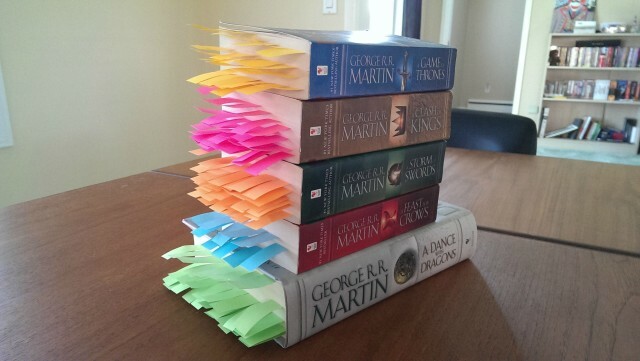 Martin‘s epic series A Song of Ice and Fire. 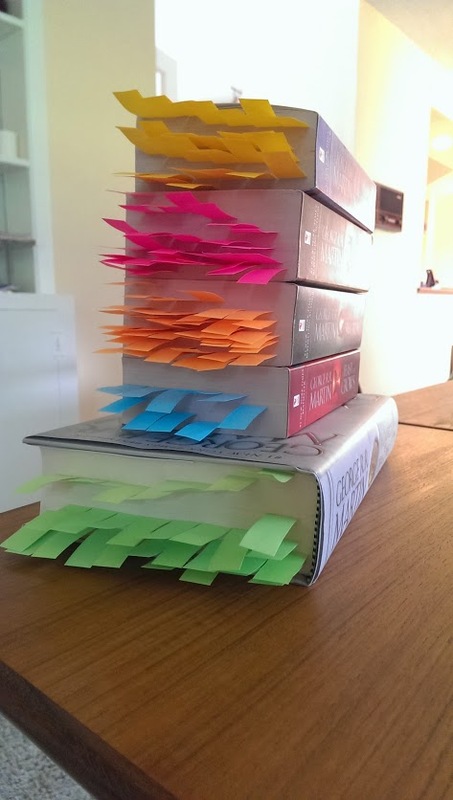 ma_petite_choufleur has conveniently visualized every death in the books, each with a colorful flag bookmark.